Dhaka, 24 April, Abnews: Ekushey Padak winner poet Belal Chaudhuri breathed his last this noon while undergoing treatment at Anwar Khan Modern Hospital in the city. Belal Chaudhuri is survived by two sons, a daughter and a host of relatives and admirers. The poet was admitted to Anwar Khan Modern Hospital in Dhanmondi on August 27.He had been suffering from diabetes and kidney complications for long. Chaudhuri served Bharat Bichitra as its editor, published from Indian High Commission in Dhaka. He was also an editor of Shaptahik Sandwip and Krittibas, a Bengali poetry magazine edited by Sunil Gangopadhyay. Belal Chaudhuri was also an essayist and translator. 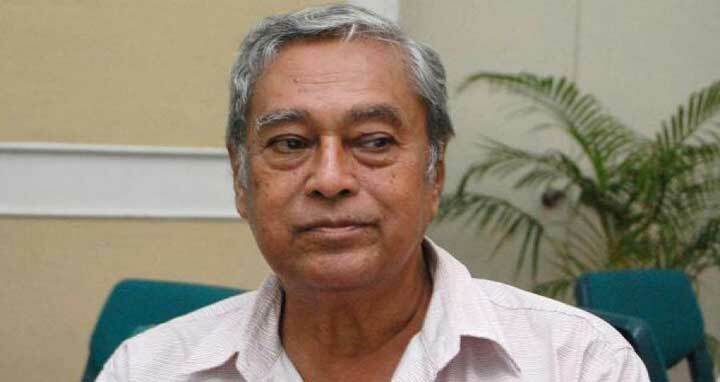 He was awarded Ekushey Padak in 2014 for his literary contribution to Bangla literature. He also received Bangla Academy Literary Award. Chowdhuri was born on November 12, 1938 in village Sharshadi of Feni in the then Bengal Presidency under the British rule. Meanwhile, body of the poet will be kept at Central Shaheed Minar tomorrow under the arrangement of Sammilito Sangskritik Jote and Jatiya Kabita Parishad, from 11am to 12pm for people to pay their last respect. His first namaj-e-janaza will be held after Zohr prayers tomorrow at Dhaka University Central Mosque and his body will later be taken to his village for burial at his ancestral graveyard.